Contrary to what the other party in an auto accident may claim, you will typically want to involve a New York auto accident lawyer when seeking damages for an auto accident. Auto accident cases are frequently settled out of court and a New York auto accident lawyer may mean the difference between a poor settlement agreement and an agreement that genuinely fulfills your needs. You will also need a New York auto accident lawyer to defend against auto accident claims when the fault of the parties has not been established. The New York auto accident lawyer will be able to analyze evidence and pick apart the suspect claims of the other party. You should never, under any circumstances flee the scene of an accident. It is not only illegal but a possible admission of guilt. Additionally, even if you may be at fault, never admit liability. You will never know the full details of an accident at the time and you may actually not be at fault. Admitting fault will make you liable for damages from the other party and there is very little the New York auto accident lawyer can do beyond this point to limit damages. You must note any injuries and medical care you had to seek as well as any statements you have made to the police. This will help the New York auto accident lawyer to shape the case and prepare an acceptable claim to be filed in court. Members of the voluntary New York State Bar Association are subject to high professional and ethical standards. This Bar Association maintains a low cost lawyer referral service that will even waive the typical referral fee of $35 for auto accident cases. Membership in the state bar association is generally a strong indicator that the New York auto accident lawyer has been vetted and may practice law in New York. Depending on your location, you will have to contact the bar association that works within that country for a referral, as the statewide referral service only covers certain counties. For instance, the New York City area will have its own lawyer referral services. You can locate a lawyer based on the county they are located in through these local services. You may use this website to find an attorney. To do so, use the search box on top of all pages. You may also compare attorneys and ask free questions by clicking Find Attorneys on top of the page. Does comparative negligence affect my case? New York is a state with comparative negligence laws that reduce awards by a factor of how negligent the plaintiff was in the actions that caused the injury. For auto accident cases, this may mean that damages can be limited if the driver who was not liable for the accident, still neglected to signal or committed another minor traffic violation that enabled the far more negligent driver to cause the accident. The claimant’s negligence however, will not bar the actual recovery of damages altogether. New York does not cap the amount of damages that will be recoverable from personal injury cases. You must bring police, medical and insurance documents related to the accident to the appointment. This is so the New York accident attorney will be able to determine the claims to be made. Be sure to ask questions if you do not understand something the lawyer has said especially on the procedural matters of the case. It is the duty of the lawyer to make the case as uncomplicated as possible, but it is also the duty of the client to understand the process. A lawyer’s integrity is the key to determining how your case will proceed. Although the lawyer has a clear interest in winning your case, not all lawyers approach clients and their litigation in the same way. Large firms may be successful and have hundreds of clients but may not be able to provide the level of personal interaction and attention that will make you feel at ease about your claim. In this case, you may want to consider retaining a smaller firm that will give you peace of mind. Also, determine if you and your lawyer will primarily pursue a settlement or if you are both willing to go to trial if necessary. Many New York auto accident lawyers will have different philosophies on going to trial and this will be reflected in their approach to the case. Communication is also key to maintaining a solid client-retainer relationship. Many accident lawyers will give you a direct number to reach them at if you have any questions or concerns about your case. If an attorney makes it difficult to talk or meet with him, you may want to reconsider your decision as a lack of communication may jeopardize your settlement. There are various fees that are accrued when consulting and retaining a lawyer. It is important to be aware of these fees. Hourly rates are rare in accident litigation, but still possible. You should be able to get all fees in writing from a reputable attorney. Be aware of unreasonable fees, illegal activity or coercion on the part of the New York auto accident attorney. State and local Bar Associations will maintain dispute resolution and grievance services for clients that have issues with their New York auto accident attorney. A contingency fee is a percentage of the award that the accident lawyer is entitled to claim if they win the case. Nearly all accident lawyers accept cases on this basis and the fee can range from 33-40% of the award. This fee is sometimes (but not always) lower when the case is settled out of court, as it saves the lawyer’s time. These fees are generally non-negotiable unless regulated by law or accompanying a case with the possibility of a substantial award. A retainer fee is a non-refundable advance payment by the client that covers the cost of services provided by the lawyer. This payment is held in a trust account and is billed accordingly. The lawyer can request that the retainer be refilled at any time, meaning that this arrangement can become expensive quickly. Free services may be available to low-income families as well as no-cost consultations. Some insurance plans will cover the cost of attorneys in accident liability cases. Some auto accident lawyers will work pro bono and cover no fees from the case, but this arrangement is very rare, unless there is evidence that the party will need every bit of the potential settlement. In your opinion, am I liable in this case? What is the possibility that we can settle out of court? Do you accept a lower contingency fee for out of court settlements? 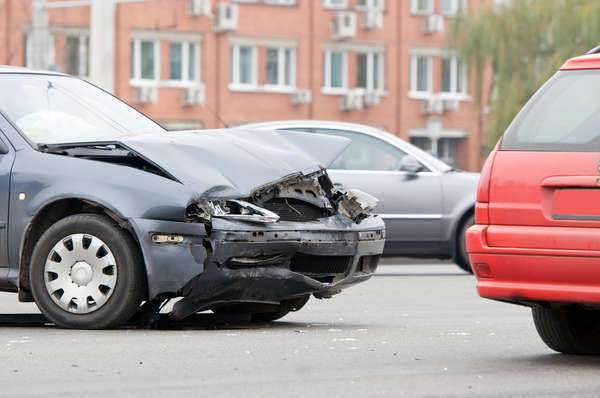 What is your experience with auto accident law, specifically my circumstances?